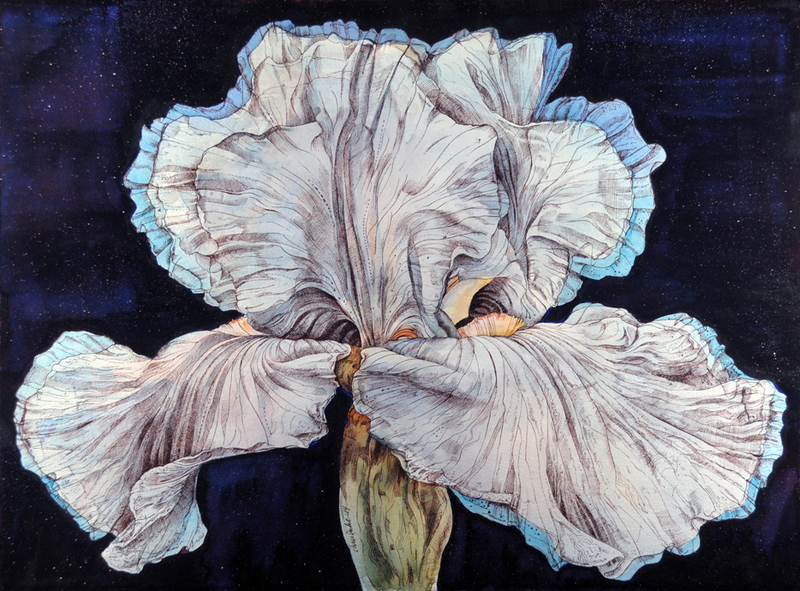 As I experiment with my iris paintings, I find inspiration in unexpected places. This piece was inspired by a walk after dark. I like the indication of deep space, filled with mystery, as backdrop. As much of my work is very finely detailed, I enjoyed combining the sensitive line work with a bold composition. This iris is eye-catching from three rooms away.